Since the release of their breakout single “Mr. Brightside” in 2003, rock band The Killers have been creating radio hit after radio hit. 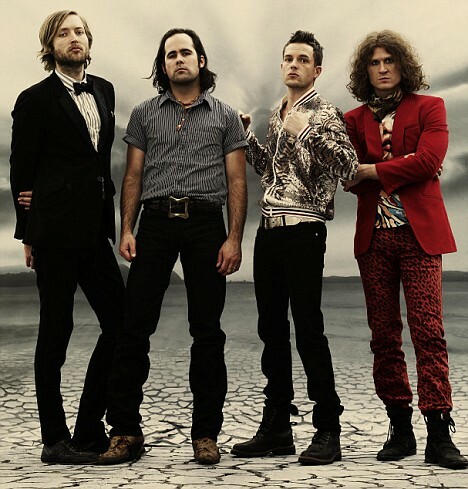 Comprised of frontman Brandon Flowers, guitarist Dave Keuning, bassist Mark Stoermer, and drummer Ronnie Vannucci Jr., the boys of The Killers look great whether they are emulating the feel of the Wild West or looking dapper in classic-cut suits. If you’d like to jazz up your winter outfits, look no further than the Killers-inspired looks below! This outfit is inspired by the western touches The Killers add to many of their ensembles. This theme was particularly prominent around the time of their platinum album Sam’s Town, which had a small-town Americana feel. For a western outfit that’s not too wild, start with a denim skirt and tights and add a frilly blouse and Aztec-printed cardigan. Leather-tooled oxfords and a fringed bag make great accessories that are also practical for class. 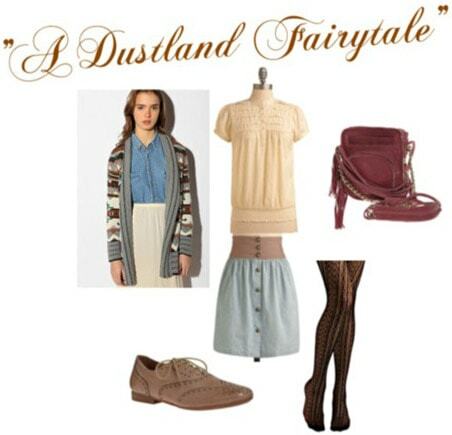 Product Information: Cardigan- Urban Outfitters, Blouse- ModCloth, Skirt- ModCloth, Oxfords- ModCloth, Tights- ModCloth, Bag- ModCloth. This look draws from the classic, timeless suits The Killers wear, as well as their never-boring uses of black basics. Start with a basic blazer and trouser combo, throw on some sparkly black jewelry, and add a pop of color with a floaty blouse and feminine heels for a foolproof dressy outfit. Product Information: Blazer- ModCloth, Pants- Urban Outfitters, Bracelet- Nordstrom, Top- Gap, Earrings- White House Black Market, Heels- Heels.com. While they love to keep it simple, The Killers also take fashion risks and put their own unique spins on classic suits. By adding unexpected details like feathers, rhinestones, faux fur, and a mix of fabric textures, you can take a hint from the boys and mix up your wardrobe with things you already own. 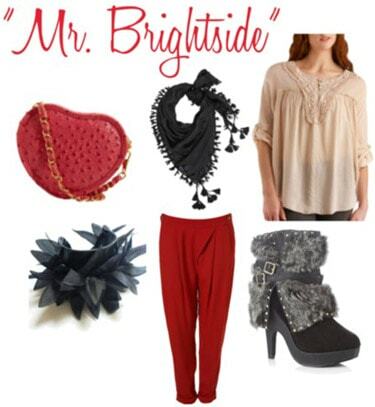 For this look, try pairing bold red pants with faux fur boots and a feathered bracelet. A floaty white top balances everything out and makes a perfect backdrop for a black scarf. Product Information: Purse- ModCloth, Bracelet- National Jean Company, Scarf- ModCloth, Pants- Topshop, Blouse- ModCloth, Boots- Mandee. Need More of The Killers? “Spaceman” – One of my favorite songs off the most recent album, this video features inventive costumes and whimsical theatrics. 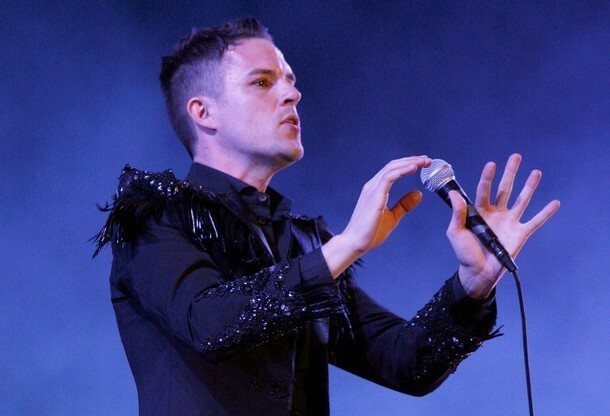 “Magdalena” – An upbeat track off of Brandon Flowers’ new solo album, Flamingo, this has all the characteristics of a classic Killers song. “All These Things That I’ve Done” – This anthem from Hot Fuss has been featured in many movies and commercials. “This Is Your Life” – A song from The Killers’ newest album, Day & Age, this track has a catchy melody with endearing lyrics. 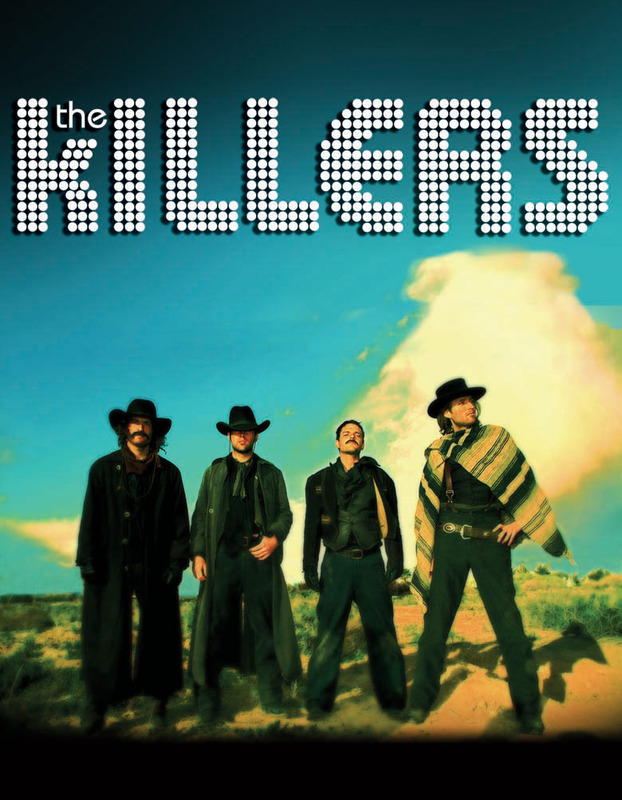 For more about The Killers and their rumored fourth album, visit their website. For more about Brandon Flowers’ solo project, you can visit his website as well. And in case you didn’t get enough, here are even more stylish items inspired by The Killers! Product Information: Dress- ModCloth, Necklace- ModCloth, Maxi Dress- ModCloth, Oxfords- ModCloth, Hat- ModCloth, Boots- ModCloth, Dress- ModCloth, Purse- ModCloth, Belt- ModCloth, Dress- ModCloth, Heels- Urban Outfitters. Do you like The Killers’ music or style? How do you use music as fashion inspiration? What other bands and music artists inspire you? 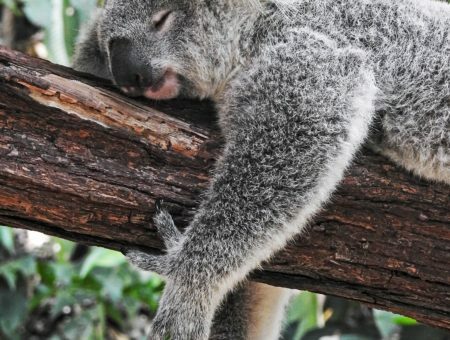 Let me know with a comment!